The Japanese automaker, Suzuki has confirmed that it is going to fully concentrate on premium motorcycle segment in India. The company knows Gixxer has brought some fortunes to company’s portfolio. With Gixxer being successful, the Japanese automaker is now planning to bring in the 250cc derivative of Gixxer to market. Currently, the 250cc Gixxer motorcycle is under development and plans to launch the Gixxer 250 by the end of 2016 or early 2017. When launched, the all new Suzuki Gixxer 250 shall take on the likings of Yamaha YZF-R3 and Kawasaki Ninja 300. Rendering artists who are bike-enthusiasts are trying to render the upcoming powerful Gixxer 250 motorcycle. 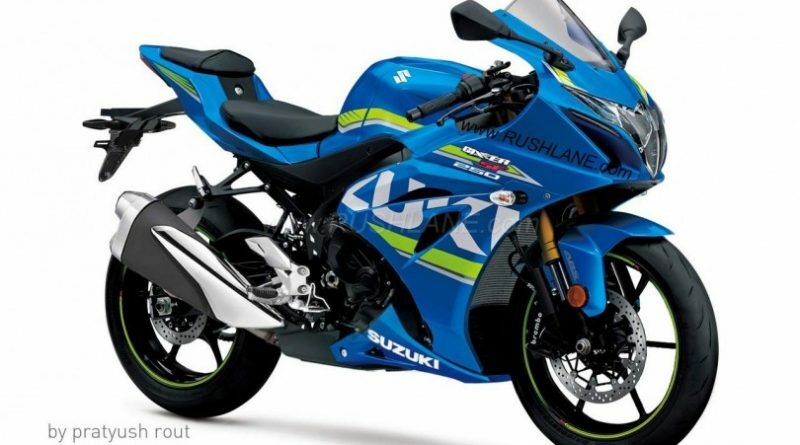 Suzuki Gixxer 250 rendering which we got from Internet shows the livery and styling cues of other Gixxer models and tries to envision the 250cc model. The Gixxer 250 otherwise called as GSX-R250 is powered by a 250cc, parallel 2-cylinder, liquid-cooled, 4-stroke petrol engine. This 250cc engine is matched to a 6-speed gearbox. The upcoming Gixxer 250 might get ABS (Anti-lock braking system) as the government is now giving more importance to the safety aspects. Currently, the Gixxer 250 project is known to be in development at Japan – Suzuki’s hometown and the bike would be made here in India as per Suzuki’s “Make in India” plan. Only the engine of Gixxer 250 will be imported from Japan where as the rest of the components will be built within India, similar to first generation Yamaha R15. Excited about new Gixxer 250? Let us know by commenting below.